This is our Amaya Artificial Grass Range, The colour is a solid green with bits of sandy coloured turf giving off a lovely two tone effect.15-20mm thick, including backingEach stands is a different height to give off a more realistic effectSuitable for all outdoor spots and even some room ideasColour will not wear out,Water Permeable - will not get damaged easily in difficult weather conditions,It is available in 2m & 4m widths. Specifications:Pile Weight: 510gr/sqmTotal Weigh.. The Forest Range - Bronze is our new quality thick and dense artificial grass range, available in 3 heights. The colour is a solid green with bits of sandy coloured turf giving off lovely two tone effect.20mm thickness,Each strand has a different height,Suitable outdoor sports and even some room ideas,Colour will not wear out,Very hard wearing,Very easy to maintain,Can be laid onto any hard surface, Water permeable - will not get damaged easily in difficult weather conditions.. The Forest Range - Gold is our new quality thick and dense artificial grass range, available in 3 heights. The colour is a solid green with bits of sandy coloured turf giving off lovely two tone effect.40mm thickness,Each strand is different height for realistic effect,Suitable for outdoor sports and indoor also,Colour will not wear out,Very hard wearing,Very easy to maintain,Can be laid onto any hard surface, Will not get damaged easily in difficult weather conditions.I.. The Forest Range - Silver is our new quality thick and dense artificial grass range, available in 3 heights. The colour is a solid green with bits of sandy coloured turf giving off lovely two tone effect.30mm thickness,Each strand is different height for realistic effect,Suitable for outdoor sports and indoor also,Colour will not wear out,Very hard wearing,Very easy to maintain,Can be laid onto any hard surface, Will not get damaged easily in difficult weather conditions.. 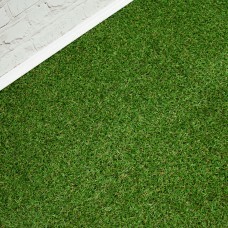 This is our new and colourful Jazz Artificial Coloured Grass Collection.It is 20-25mm thick,Each stands is a different height to give off a more realistic effectSuitable for outdoor and indoor useHard wearingRealistic artificial grassColour will not wear outWill not get damaged easily in difficult weather conditionsIt is available in 2m width only.Specifications:Pile Weight: 1030gr/sqmPile Height: 25mmTuft gauge: 3/8 gaugeStitches per 10cm: 16 (+/-1)Density per m2: .. This is our New Grass Artificial Grass our perfect entry level grass range without compromising on quality. The different shades of green mixed with a sandy coloured tufts giving a lovely natural look to this grass.20mm thick, including backingEach strand is a different height giving a more realistic effectSuitable for all outdoor areas and even indoor roomsUV Resistant No Fade Colour, Eco-Friendly and Weed Resiliant.Water Permeable - Water will filter and not pool in difficult weather..